Maybe something else, a mutt? Got a few supplies and checking out the adoption tank I saw this guy and 2 galaxy rasbora. 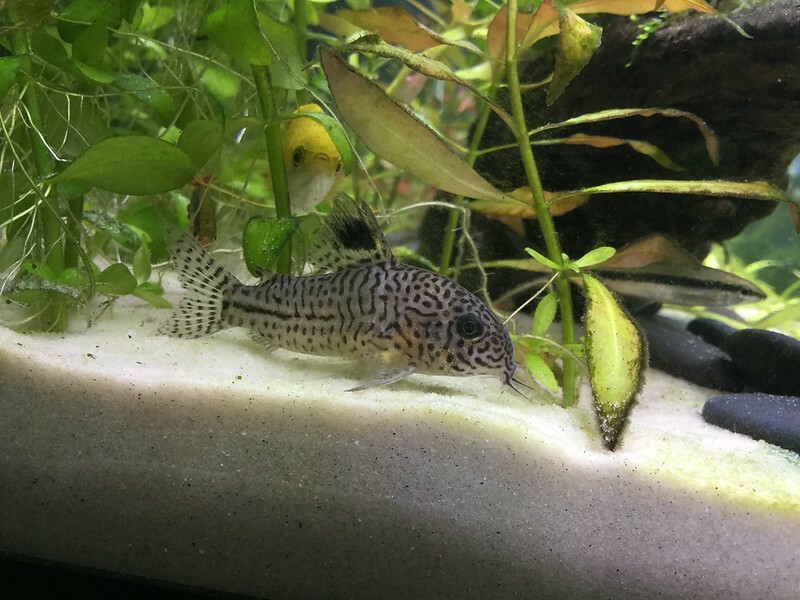 Brought them home and the worker said it was a Julii, but I'm leaning more toward trilineatus. Maybe its a cross? The dots on the face are larger and semi worm-like but not a maze. The line on the body isn't as distinct as trilineatus imo. Maybe its a mutt, but its a cute mutt! Dots vs squiggles. My bet is on trilineatus.